While almost any time of year except the monsoon season is a great time to visit this remote U.S. state, prices vary significantly by season—especially during the winter (when the island is still warm, but most of America is cold). 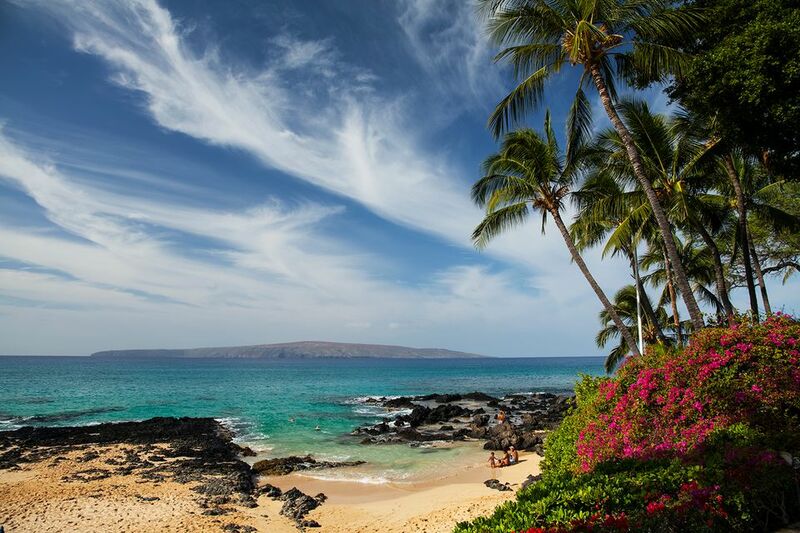 The best time to visit Hawaii is during May when many snowbirds have retreated, and the weather is pleasant, without the threat of hurricanes or excessive rainfall. May is also the tail-end of humpback whale-watching season. Decide what you want to see and do while you're in Hawaii, and then find the best time of year to meet your requirements. If you're a return visitor, plan your trip in a different season so you can experience an entirely different way of island life. The eight islands of Hawaii (six of which you can visit) are Oahu, Niihau, Kahoolawe, Maui, Kauai, Molokai, Lanai, and the Big Island (Hawaii). As no one island is like the other, it's recommended that you check out more than one. Despite being a tropical climate, the weather in Hawaii is not the same every month of the year. Hawaii has a dry season (April to October) and a rainy season (November to March). However, even the rainy season can be relatively dry when many parts of Hawaii suffer drought conditions. The summer months can be hot and humid, especially in Honolulu and Waikiki. Hurricanes are rare but the hurricane season is from June to November. Fortunately, the last major storm to hit Hawaii was Hurricane Iniki, which severely damaged Kauai in September 1992. The best weather is often found in April, May, September, and October, which is also conveniently the time when you can find some good travel bargains. Since most Americans are in school or work during these months, flight and hotel prices are much lower than during the summer or winter vacation months. Summer is when you'll find more families vacationing in Hawaii since that's when school is out in many areas of the United States. School is also out in Hawaii in June and July, so the most popular beaches on every island tend to be more crowded during those two months as well as two weeks at the end of December when the students are on winter break. Airfare tends to be more expensive during the "high" season of mid-December to mid-April. If you plan to visit during this period, make your reservations early. Like airfare, lodging tends to be more expensive during the "high" season of mid-December to mid-April. How Much Does it Cost to Visit Hawaii? A vacation to Hawaii is not cheap. The cost is the primary reason that many people never make it to Hawaii despite their strong desire to visit the islands. The cost of a round-trip airline ticket to Hawaii has increased substantially, but as you might expect, airfare from the West Coast is generally several hundred dollars less than from the East Coast. Fortunately, there are a large number of airlines that fly to Hawaii, and the costs vary from day to day and airline to airline, so the key is to plan and compare prices. Because Hawaii is the most ethnically diverse state in the country, annual cultural festivals abound throughout the islands. Additionally, the island celebrates national holidays and seasons such as Christmas as well as local agricultural festivals and historical festivals. While the inclination for many folks is to visit Hawaii in the winter to escape the cold and snowy winter weather on the mainland, it's not the time to find either the best weather or the best bargains. However, winter does bring with it great waves that make Hawaii a world-famous surfing destination. The Vans Triple Crown of Surfing takes place each November and December on Oahu's North Shore, but traffic on the North Shore is extremely heavy on competition days. Late Spring can be a great time to visit Hawaii: Many of the winter crowds have gone back to school and work and weather typically dry and pleasant. Whale-watching seasons takes place from December through May, so there's a good chance you'll to get to see them during a spring trip! The Honolulu Festival, a celebration of the relationship between Hawaiʻi and the Pacific Rim region, is held over three days every March. If you're visiting in April, don't miss Hilo's historic Merrie Monarch Festival, a celebration honoring King David Kalakaua, otherwise known as the "Merrie Monarch." Summer is a busy season for families with children. July is the state's most-visited month, but not always the best, as the temperatures are warmer and surf can sometimes be intense. Additionally, while hurricanes aren't frequent in Hawaii, hurricane season kicks off on June 1. King Kamehameha Day is celebrated across the islands on June 11. The largest attraction is a celebratory parade which begins in Downtown Honolulu and finishes at Kapiʻolani Park in Waikiki. Experience the magic of the ukulele at Honolulu's annual festival celebrating the famed instrument. It takes place each year in July. Like spring, fall is also a pleasant time to visit Hawaii. Skies are clear, and a lack of crowds can mean affordable hotel rooms and flights. Even though there's always a minimal threat of a hurricane (the season runs through Nov. 30), it's arguably the most beautiful season of the year. Fall's best-known event is the week-long Aloha Festivals, which consists of the Hoʻolauleʻa (a large party) and a corresponding. The Waikiki Hoʻolauleʻa is a casual block party with food, dancing, music, and other Hawaiian traditions.